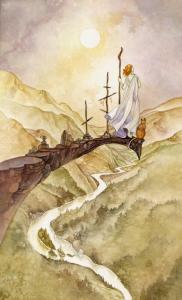 Below are 6 Tarot Cards. 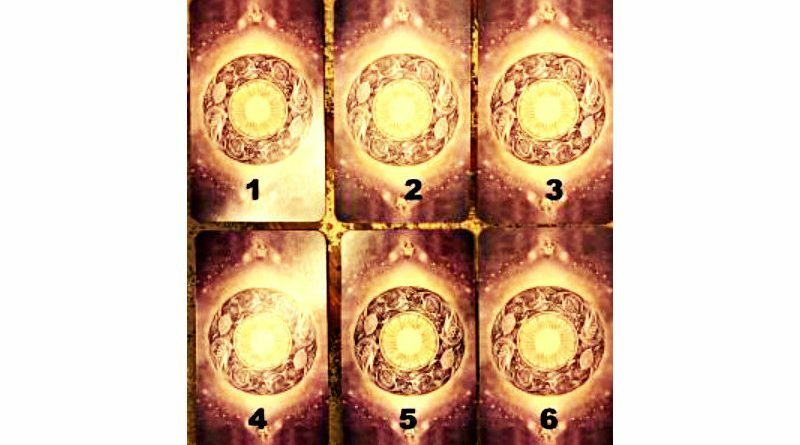 The backs are all the same, but by using your intuition choose one of the cards that call most to you. This is what you’ll want to work on for 2018. Take a deep breath in and out. Don’t second guess yourself – just choose. The pleasure of the senses, satisfaction and wish fulfillment, success, assured future, bounty, and health. You will be going through a period of great happiness and contentment this year. You are in an emotionally strong place and it will show in your energy and your smile. Life is really looking good at present and everything is working out as hoped for. It is a time for being aware and appreciating all your blessings and the magic of life. 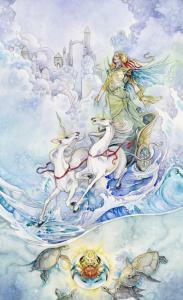 The Nine of Cups can symbolically represent being rewarded after a period of hard work and effort. Whatever you have been working on has come to successful fruition and you can sit back now and take all the praise and applause you have rightfully earned. People now see you in a different light and many will be envious of not only your abilities and skills but also because of the wonderful inner-light that glows in and around you. It positively oozes from your pores. Your happiness and warmth are infectious too and many will seek you out for the positive effect you have on them. Others will see you as inspirational; someone who has relentlessly pursued their dream regardless of setbacks or the opinion of others. You must realize that you have achieved something that many, many others crave in their lives but do not have the courage or determination to go after. This is now your time to shine and you have every right to feel rather pleased with yourself. 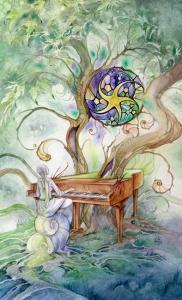 This card brings success and good fortune when it turns up in a reading. You are bound to feel brimming over with self-confidence and self-belief. You feel assured of what you are doing. You may feel excited and full of enthusiasm for a project or venture you are working on as your creative juices flow unhindered. Life may have been a bit stagnant but you are about to feel energized and excited for the new year. This year you may have several decisions to make, but they will feel like a relief. Instead of wondering and worrying about things, plans will be made and action taken with excitement. You feel positive about the future and enthusiastic about your new home and life. If you have been trying to break away from a troublesome situation or a painful past then this card indicates that you will indeed liberate yourself and move forward. It highlights a time when you are ready to move on with your life and turn your back on the past. Recommended: Select A Card And Discover What Fate Is Preparing For You In The Near Future? There is a male – father/grandfather – energy that is helping you into the new year. He would have been a practical/pragmatic male who saw life in a very black/white, engineering type of way. He is helping you stay in the now so that you don’t get caught up in the woul-ofs /should-of that life sometimes dishes out. Your journey may have changed in the last couple years with losses and upheavals, and you’ve lost your balance if not even your confidence. 2018 brings you the opportunity to set your GPS and stop allowing yourself to be sidetracked away from your dreams and aspirations. Progression only happens if you make yourself move, taking the steps, even if just baby ones. Be careful of the self-doubt. Opportunities are constant for you this year, in all areas of your life. Are you open to them? Business opportunities with financial gain will be offered, but it might be wise to seek out a financial consultant to help you invest rather than splurge. There is a creative endeavor as well that you are to explore. And travel is important, so make sure to get the car tuned up and ready. The Chariot gives you the green light to charge ahead and take control over your life. Your success depends on your will and ability to be in control and to be brave enough to move forward even in unknown territory. You steer your life in the direction you desire, but it requires willpower and motivation to create our own destiny. You are making an attempt to distance yourself from a situation of stress and turmoil in order to heal and find balance. It is a positive indication that you are slowly moving from turbulent seas into calmer waters and healing your emotional past. It is a time for leaving a troubled past behind to move positively into the future. You can now see light at the end of the tunnel. 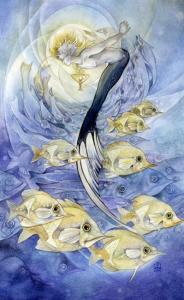 The Six of Swords asks you to trust that life will support you and bring new rewarding experiences. You must find belief in yourself and a new sense of purpose. 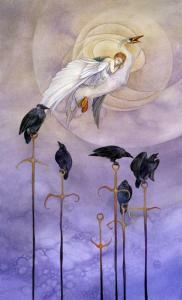 The Six of Swords marks a transition period in your life as you move from one state of mind to another. You may be ending the year with little energy to complete any tasks and possibly feel deflated and defeated by life. You may find it hard to function on a day to day basis and feel that you are just going through the motions of living. You have gone through a very tough time, but don’t run away. Remember that even though some of the conflict and stress in your life may be caused by others, there is a very good chance that you are one of your own worst enemies. There is also an amazing trip that will likely be planned for 2018. Although sometimes this card is seen as a warning of disappointment and a long wait, I see this more as a time of meditation and contemplation time so that the decisions aren’t made out of fear. Sometimes we need to step back and look at things from a different perspective in order to see clearly, and this is what 2018 will offer you. This is a time of healing and growing stronger. 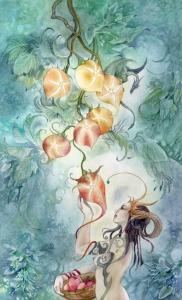 The Seven of Pentacles may, therefore, represent fear of failure, delays, and frustration. However, the positive side of it is that you are more likely to be learning from these setbacks and evaluating how you can better invest your time to create the most value. In order to avoid feelings of frustration, ensure that you review your progress to date at regular intervals, particularly when engaged in long-term or enduring work, so that you can review what is working well and what is not and where you can make adjustments. Make sure that you are on course and that you are on track to achieve your goals. You are a super hard worker, but you are ready for a bit of a break. You are allowed to treat yourself to a day off, a massage, or whatever tickles your fancy. Life hasn’t exactly been easy, but that hasn’t scared you, In fact, it’s made you pretty darn strong! You just need to remember that you can’t be a superhero all the time. And even superheroes take a day off to rest and relax. Yes, that project may be looming, and you aren’t being lazy by taking a breather. Nine of Pentacles also means that there will be a prosperity increase coming within the next few months. The resources for this are all around you, just stay awake. Remember that you reap rewards of prosperity easily and effortlessly if you so choose. may be needed, along with asking for help. It could be a consolidation loan, life coaching, or just talking to a friend. There is a spirit on the other side who may have lived through the Depression, had some mental illness, or a difficult passing. It is he/she who guides you, reminding you to take your birthright and stop seeing yourself as being punished and only offered to suffer. There’s joy there for you to drink in.